We are a professional audio visual solutions company priding ourselves in customer satisfaction and a clean and tidy TV installation service. We are the preferred installation service offered by companies like Harvey Normans, who we have worked closely with to achieve a top customer satisfaction guarantee. We are a Melbourne based company offering same or next day services when available. CALL NOW FOR A FREE CONSULTATION!! Aussie Services Team provide a range of services including, TV installations, Digital Antenna Installation and Antenna Mounting Services, LCD Wall Mounting and Plasma Wall Mounting Services, Home Theatre Installations, Projector Wall Mounting and Speaker Installation Services, CCTV Camera Installations, in Melbourne CBD, Chadstone, St Kilda, Toorak, Brighton and all surrounding suburbs. Our audio visual engineers have many years of experience installing plasma TV, LCD TV, 3D LED TV’s, projectors and audio visual equipment. We provide free quotations to spec the best system for your situation. Our company works closely with building and Architectural firms. We offer a complete wiring solution timed correctly with your current new build or renovation. We offer an Audio Visual project management service which involves supplying your builders with, wiring diagrams, wiring schedule, professional quote preparations and project management to ensure the correct installation has taken place. This will involve supplying all cables to your current building contactors with plans and wiring schedule for installation. If no building company has been commissioned then our professional wiring installation team will offer this service for you. 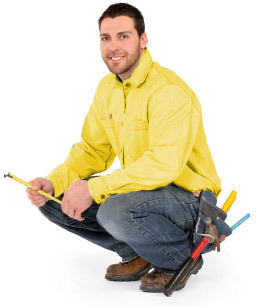 This procedure will ensure all cables have been tested and correctly labeled to ensure no breaks in connection and a smooth transition to your final fix. This is the final stage of your project where we will supply all equipment for our technicians to install, ie: 3D screens, LCD’s, Plasma’s, surround sound equipment. Once all products have been correctly installed, we will take you through a tutorial process showing how all your equipment operates. We provide TV installation services in TV installation Brighton, TV installation Cheltenham, TV installation St kilda, TV installation Chadstone, TV installation South Yarra, TV installation Prahran, TV installation Camberwell, TV installation Sandringham, TV installation Richmond, TV installation Melbourne, TV installation East Melbourne, TV installation South Melbourne, TV installation Docklands, TV installation Malvern, TV installation Caulfield, TV installation Moorabbin, TV installation Dandenong, TV installation Toorak and all surrounding suburbs.